1. When the brownies are done baking, allow to completely cool down. 2. Place chocolate morsels in a bowl. Set aside. Heat the cream and butter in a saucepan over medium heat. Bring just to a boil. 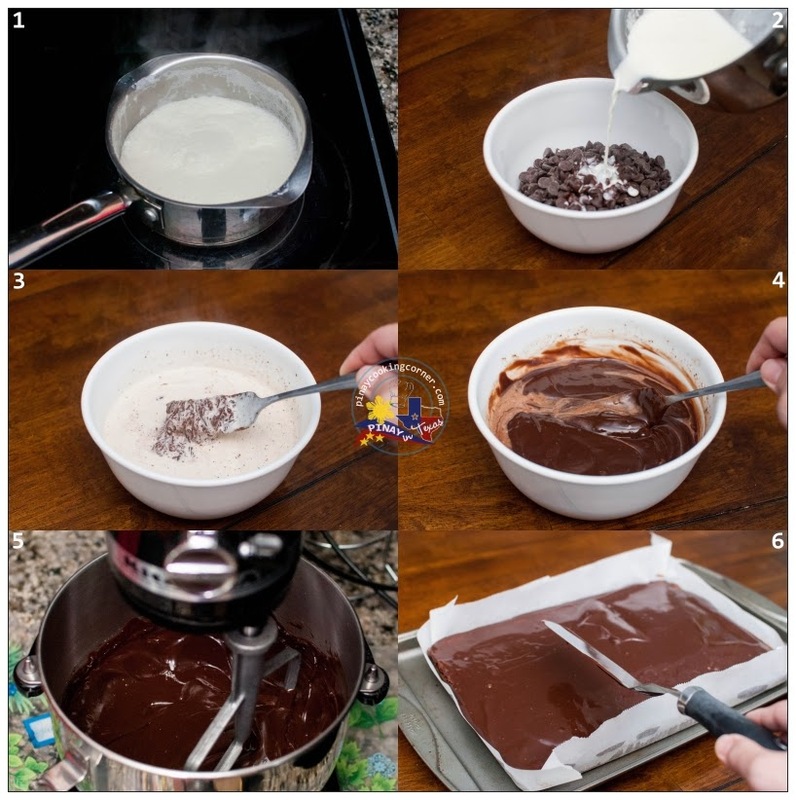 Immediately pour the boiling cream over the chocolate and allow to stand for 5 minutes. Stir until smooth. When ganache has completely cooled, beat until soft and fluffy. 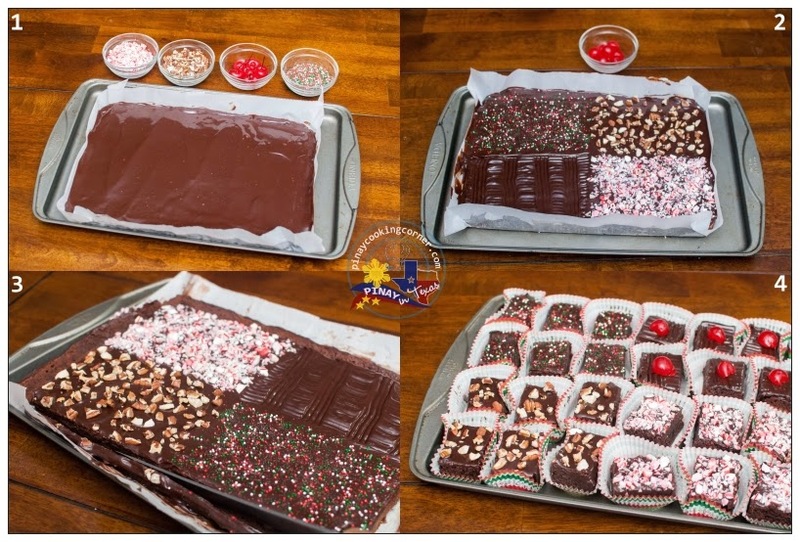 Spread evenly on the whole brownie. 3. 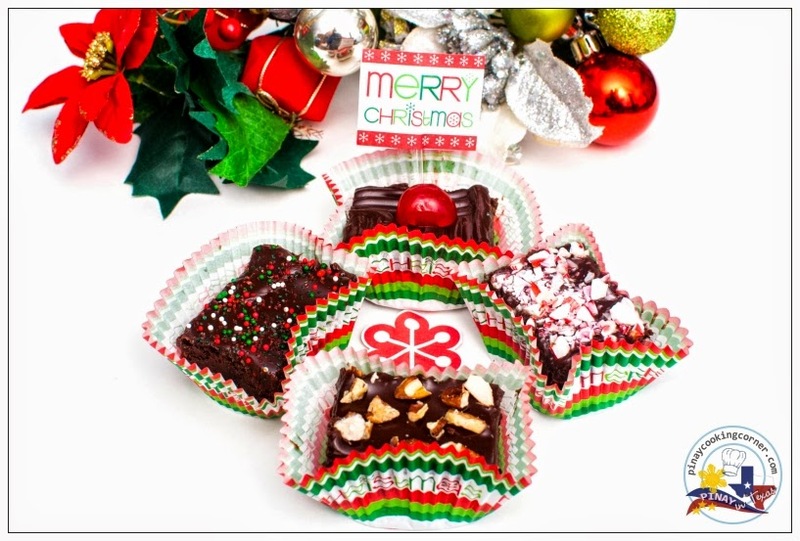 Decorate each quarter of the brownie with the chopped nuts, peppermint, and colored sugar. 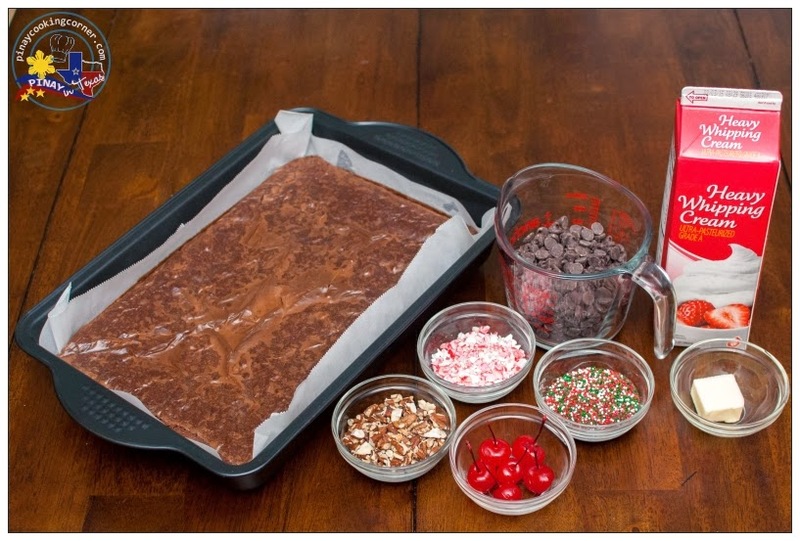 As for the cherries, just put it after slicing the brownies into desired size. Set aside and allow the ganache to completely firm up for about 6 hrs. 4. Using a sharp knife, trim the edges of the brownies. 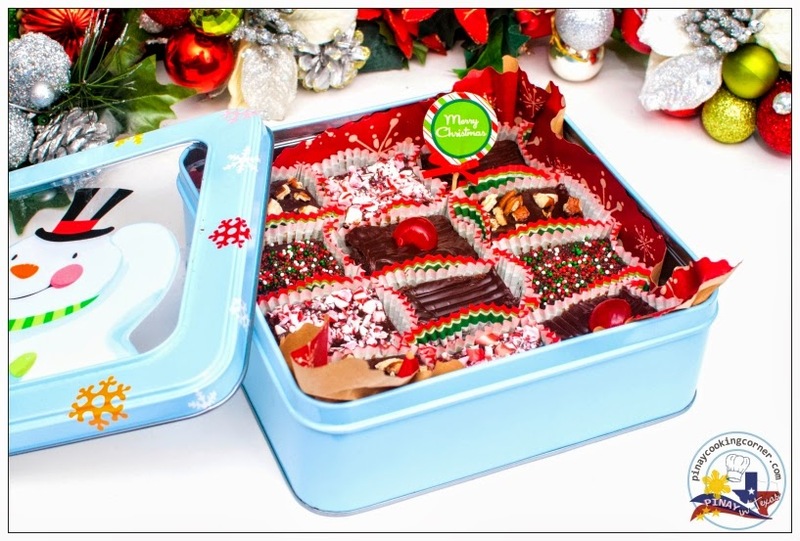 Slice the brownies to desired size and put each in a cupcake liner. 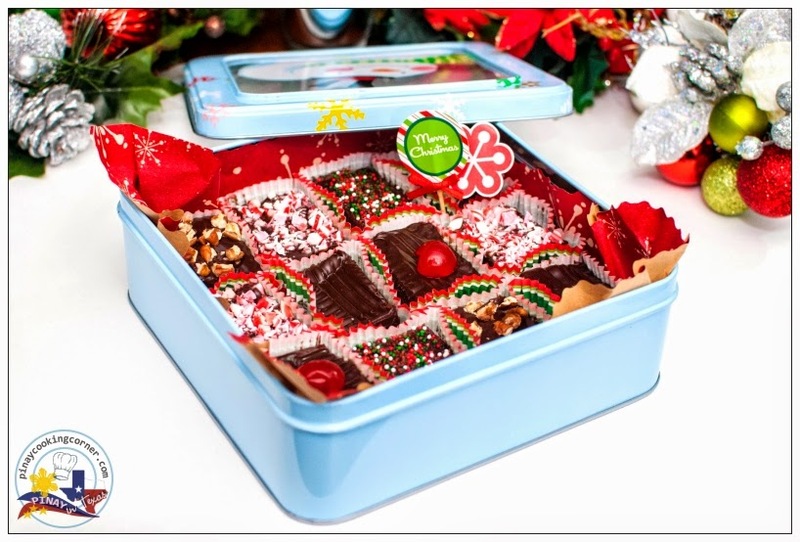 Arrange in a festive box or tin can. Love this idea! I think this will work as Valentine's gift too!